I’m passionate about working in a young and professional team, where all members are very enthusiastic about their projects. I really enjoy this about my job at TTE. After finishing her 3-years education in the luxury hotel sector successfully, Anja started a traineeship in event management. 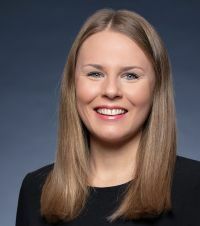 After 4 more years in her home town Munich, she moved to Hamburg, where she was head of the event management department of a local luxury hotel for four years. After a total of over 11 years in the hotel industry, Anja decided to change industries and today supports the TTE team as a team assistant.